The plan is to create a local NuGet feed that has all the prerequisite files for the build script. 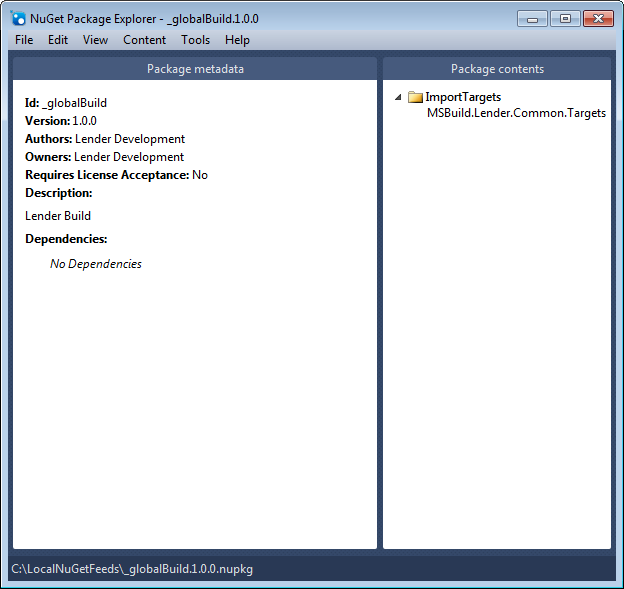 Using the local NuGet feed, install the “global build” package as the first build task. After that, the primary build script can find the import file and proceed normally. Here is the basic solution strategy that I came up with. Notice the “file” element. It specifies the source files, which includes in the MSBuild.Lender.Common.Targets file when the ImportTargets folder is added. 4. 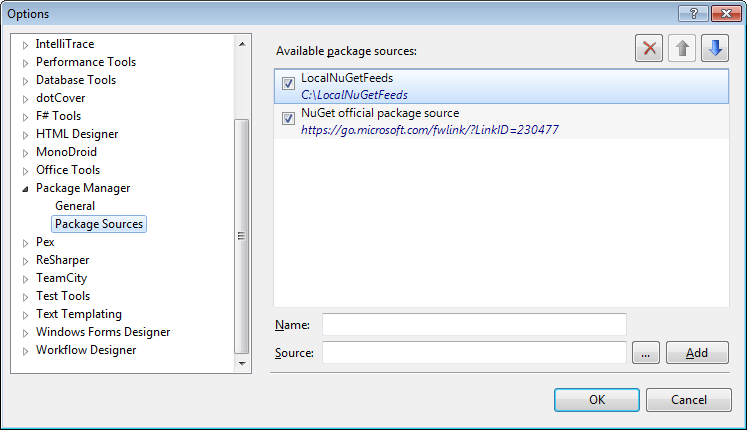 Save the package to the local NuGet feeds folder. In this case, it is the C:\LocalNuGetFeeds folder. This references the package with the id of “_globalBuild”, which is found in the LocalNuGetFeeds package. It is one of the available package sources because it was added through Visual Studio, under Tools >> Library Package Manager >> Package Manager Settings. With the kickstart bringing down the prerequisite files, the rest of the build script performs the automated build using the common Targets properly imported.